Sumptuous modern European dishes and impeccable service come together at this stylish and cosy brasserie. This brasserie on the mezzanine floor at KL Hilton is a one of those restaurants that will remain in your memory long after your visit for its excellent food and attentive service. A chic-looking restaurant that manages to do style with nary a hint of pretentiousness, Graze welcomes both groups and smaller parties to ‘graze’ on a sumptuous menu that will have you giving the chefs and the wait staff a standing ovation! The décor stops just short of being overtly masculine and embodies a stylish bistro concept with its wood strip wall panelling, polished wood/tile flooring and black-frame, floor to ceiling glass windows. Bulbous light fixtures light up the space, bringing the right amount of cosy warmth that is suitable for big, boisterous gatherings, small intimate groups and even to romantic little dinners. For starters, try the Boston bay scallops ‘a la meunier’. The scallops arrive in pretty little shells, all dressed up in a butter sauce sprinkled with shallots, spring onions, tomatoes, capers and gremolata. The sweet scallop aside, the sauce is just as divine! The confit portobello mushroom smoked chicken is a puzzling dish as the mushroom is so meaty and perfectly seasoned with the soy and garlic coating, it makes one wonder if it is a piece of meat undercover. The highlight is undoubtedly the 63°C poached egg, which oozes sexily all over the bitter radicchio leaves. The smoked duck breast with marinated celery, Braeburn apples and red wine-soaked raisins is an equally luscious starter. Based on the excellent suggestions of the restaurant manager, the grilled Australian Black Angus tenderloin, served on a bed of mashed potatoes accompanied with sautéed corn, spring onions, tomatoes and an unctuous peppercorn sauce; the Barolo braised Wagyu beef cheek, served with honey glazed root vegetables and potato mash; and the braised turkey roulade with sage and chestnut stuffing with cranberry jus are wonderful mains. Both the cuts of beef are superlative in taste and tenderness, with a melt-in-the-mouth texture while retaining the right amount of beefy taste while the turkey roulade is a contemporary but delicious way to serve the much maligned bird that appears on Thanksgiving and Christmas dinners. Dessert, although limited, is equally satisfying. Tiramisu, Bombe Alaska and a Chocolate Dome filled with salted caramel served with mango sauce are rousing finishes to the meal. 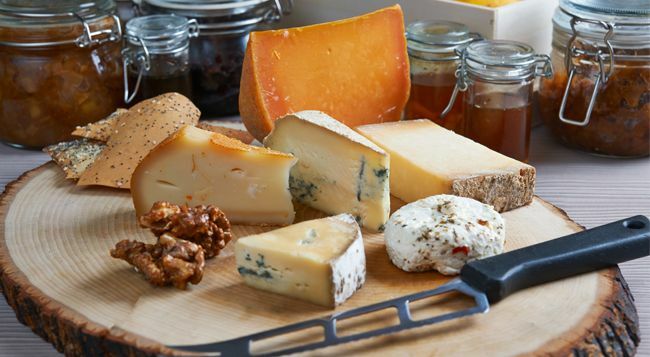 There is also an extensive selection of cheeses from all over the world available to be paired with wines. The wine and spirit selection at Graze is massive and would require a postcode of its own. Extremely well-curated, the wines come practically from every nook of the globe and will please even the most seasoned palates. Red and white wines are aplenty and come at very reasonable prices. Bubbly from various countries and hard liquor are also available. House pouring labels are outstanding, offering diners a greater selection. Sauvignon blanc, pinot gris, chardonnay blend, Riesling and godello for white and pinot noir, cabernet sauvignon, corvina blend, shiraz and tempranillo for reds simply allow you to try more wine types and pair them with your meals. Service is excellent with waiters being extremely confident in their knowledge and recommendations, with both food and wine. The disarming charm without becoming too familiar in getting their diners at ease before embarking on an evening of gastronomical delights seems to be a well-honed craft here. Highly commendable. Quality comes at a price and this is money well spent, nay, a reasonable amount to part with. The quality of food, the freshness of the produce, the masterful preparations and the impeccable but friendly service that prepares you for an unforgettable meal is what sets a restaurant apart from others. Graze is certainly one of those and a shining star in KL Hilton’s stable of F&B outlets.